The Tincture of Time is Silver's gorgeous and haunting chronicle of Abby's first year. It's a year of unending tests, doctors' opinions, sleepless nights, and above all, uncertainty: The mysterious circumstances of Abby's hospitalization attract dozens of specialists, none of whom can offer a conclusive answer about what went wrong or what the future holds. 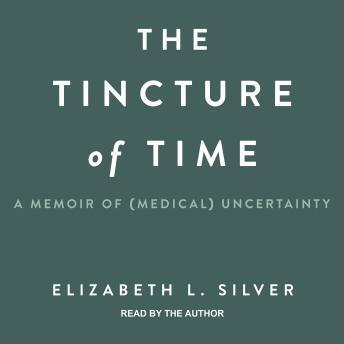 As Silver explores what it means to cope with uncertainty as a patient and parent, she looks beyond her own story for comfort, probing literature and religion, examining the practice of medicine throughout history, and reporting the experiences of doctors, patients, and fellow caretakers. The result is a brilliant blend of personal narrative and cultural analysis, at once a poignant snapshot of a parent's struggle and a wise meditation on the reality of uncertainty, in and out of medicine, and the hard-won truth that time is often its only cure.